Three Ghost Friends: Three Ghost Friends - COSTUME TIME! Three Ghost Friends - COSTUME TIME! How many days until Halloween? Too many! But, I have been busy making activities for the latest Three Ghost Friends book, Three Ghost Friends: Learn About the ABCs - Halloween Edition. In this book, the Three Ghost Friends hope to find just the right costumes to wear for Trick or Treat. It proves to be difficult with at least one ghost friend not wanting to follow the theme. They try on animal costumes, fruit costumes, community helper costumes, and even SCARY guy costumes. Thankfully, the Three Ghost Friends eventually find the perfect costumes to wear. From the moment the book was complete, I wanted to create a way for children to have fun dressing up the Three Ghost Friends in all the costumes. Additionally, I also wanted to provide a way for parents and teachers to explore the concept of categorizing with their child or student. 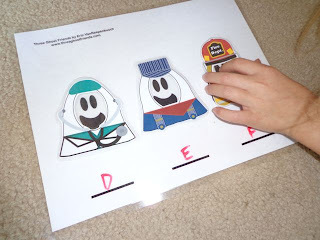 I met both of those goals with the FREE printable activity kit, COSTUME TIME!, which includes the Three Ghost Friends and all of the costumes they try on at the A to Z Costume Shop. Click here to download the activity packet. 1. Laminate the Three Ghost Friends game board. 2. Write a letter on each line below the ghosts with a dry erase marker. 3. 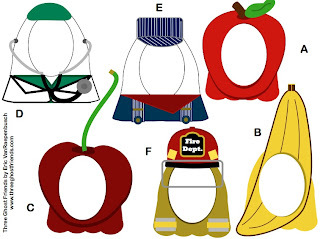 The child will match the costume with the same beginning letter to the letter on the line. 1. Lay many costumes in front of the child. 3. 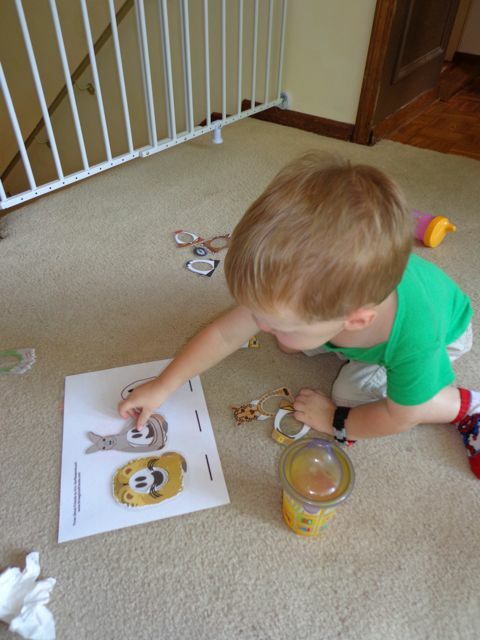 Determine if providing the category or having the child suggest the category work best for your situation. My daughter wrote letters on the line. 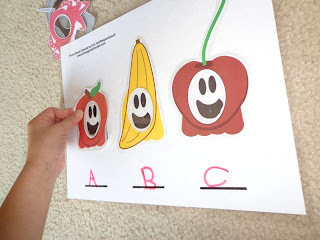 A is for an apple costume. B is for a banana costume. C is for a cherry costume. More costumes matched to their letter - a doctor, an engineer, a firefighter. 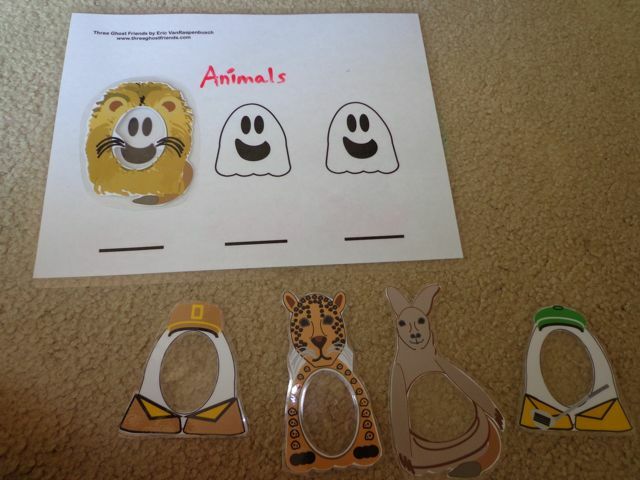 In this example, we wrote "animals" on the game board and laid out many costumes. My two year old son found the "animal" costumes and dressed the ghosts. 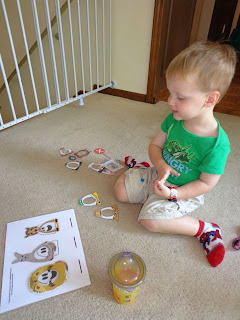 These were all the land animals from the book - a lion, a kangaroo, a jaguar. 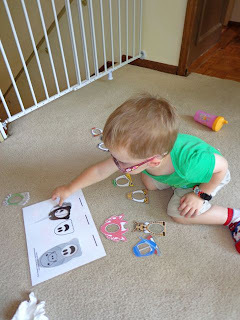 Next, he tried the water animals -- a manatee, a narwhal, and an octopus! 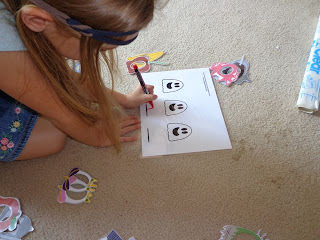 Remember, there are 3 other Three Ghost Friends books and over 40 activity ideas if you need more things to keep you children busy and learning before Halloween!